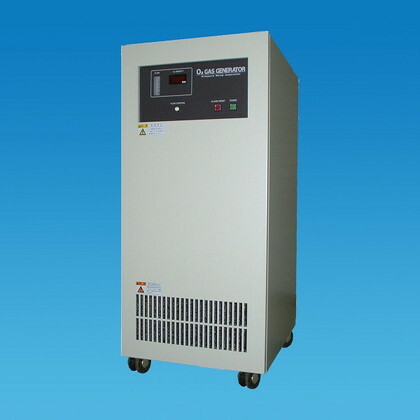 The high-purity oxygen gas is generated by adsorbing nitrogen from air using adsorbent (zeolite).After the zeolite has adsorbed nitrogen fully, it cannot nitrogen any more (break point). 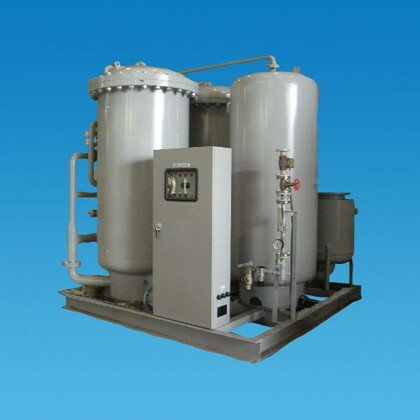 Therefore, adsorbed nitrogen is desorbed by reduction of pressure and then zeolite is regenerated so that it can adsorb nitrogen again. 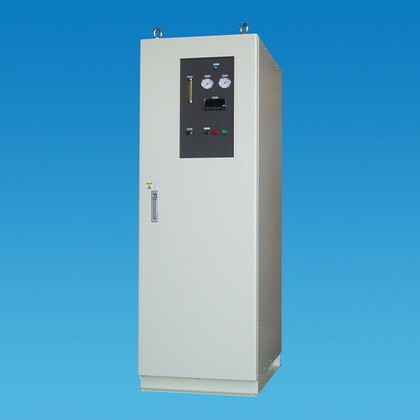 The adsorption method repeating pressurizing and depressurizanation in this way is called PSA (Pressure Swing Adsorption) System. 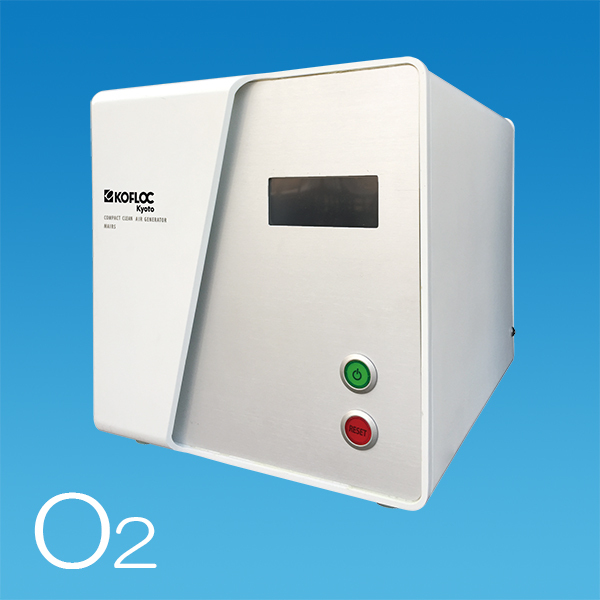 * Oxygen gas generators made with specifications tailored to the customer's needs are also available.